Tired of working out of your house? Hotel room? Coffee shop? Our collaborative work environment brings professionalism to your business without making you pay for square footage you don't need. Whether you're looking to snag a table for a few days a week or if you're wanting to put down roots at a desk with your name on it - we've got you covered. 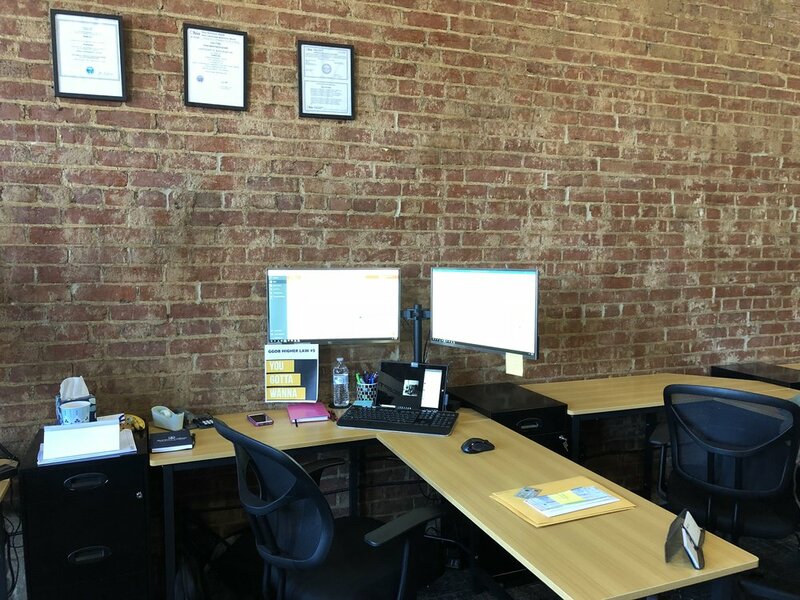 Each lease comes with a desk, chair, lockable filing cabinet, access to high speed internet, 24hr building access, and scheduled access to two conference rooms. Single desk leases are $150/mo (annual leases) or $175/mo (month to month leases). Double size desk spaces are also available for $275/mo (annual leases only). At our core is the desire to foster growth of small businesses in rural-metropolitan areas. This mindset is designed to breathe new life into small communities that have seen decline in economic development over the past decades as industry has shriveled up and moved out of state or out of country. At IncSwell we empower local entrepreneurs and businesses to create growth - locally - through a 21st century framework that helps reinvent a community in a way that is both sustainable and marketable. So simple it just might work.